If you’re reading this, you’re probably at least beginning to think about how to prepare for the LSAT. This should be a very exciting time – you’re starting your journey to law school! It also may be a nerve-wracking time, because the LSAT is one of the most heavily-weighted factors in law school applications (for now at least). There are countless ways to go about preparing for the exam, but there are some mistakes that most students should try to avoid. Good news – this one is easily avoidable! Many students may initially plan to approach the LSAT similarly to how they approached the SAT or ACT in high school; meaning, they only plan to invest a few intense weeks of pre-test preparation. This is absolutely not enough time (for most people – there are exceptions to every rule). For many students, studying for several months for approximately 10-15 hours per week is necessary to perform optimally. Why so much time? The LSAT requires far more than memorizing lists of information like many other standardized tests; it requires you to train your brain to think a certain way. LSAT problems will be fundamentally different from anything most students have seen before. For example, many students have been exposed to some form of reading comprehension since elementary school, but the LSAT will ask you to read for reasoning structure rather than general comprehension. Now, add the fact that you only have about a minute and a half to answer each question; that’s going to require a lot of practice. The LSAT has historically been offered four times each year, but will be increasing to 6 times each year mid-2018. This is great news for prospective law students because there will be more opportunities to take the test well before you need to get your applications in. Most law schools have a rolling application system, meaning they accept or deny applications as they are received. This means that your chances of being accepted (and probably receiving scholarship money) are greater the earlier in the cycle you apply. Applications for many schools will open in September (this can vary by school), so it may be beneficial to plan to sit for one of the spring-time exams, that way you can always re-take in the early fall if you need to and still get applications in early. If you wait until the fall and then need to re-take the exam, you won’t have your new score until at least December or January, and your application will no longer be early. As we’ve mentioned, the LSAT requires you to alter the way you think and approach problems; it also asks you to complete them very quickly. It is imperative to not only work on accuracy, but also work on completing each section in the time allotted. The LSAT is too different and too strictly-timed to sit for the real thing without having timed any prior full-length practice exams for a few reasons. First, it can be overwhelming to sit through a half-day exam without any prior practice doing so, and it can be helpful to build that stamina during your practice. Second, you only have about a minute and a half to complete each question, and this time is going to feel even shorter during the actual exam. It may even be helpful to give yourself a slightly tighter timeframe during your practice to help account for test day nerves. This is a very important step, don’t skip it! Unless you’re scoring nearly perfect on multiple practice exams, you don’t understand everything. In fact, it is very possible to get a question right and still not thoroughly understand the concept. You can’t learn from your mistakes if you don’t review the questions that you get wrong or felt uncertain about. After you take your practice exams, thoroughly review the questions you got wrong and the questions you felt unsure about. Look at each answer choice and try to articulate why the right answer was right and why the wrong answer was wrong. 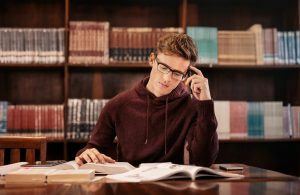 There are an overwhelming number of LSAT prep options available these days, and it can be difficult to sift through those to identify what will work best for you. Before you buy or sign up for anything, it is important to be honest with yourself about what is likely to work or not work for you. Many options can be very expensive, so carefully assess what you need before signing up for something just because a prep company says you need it or promises amazing results. If you know that you don’t learn best in a classroom, maybe you don’t want to sign up for a class. If you know that you struggle to structure your study time on your own, maybe you do want to sign up for a class or work with a tutor. In addition, be honest about how much time you can spend studying. Many of those preparing for the LSAT are either still students or are working, so be careful to choose a method that you can commit to consistently. Preparing for the LSAT can be a daunting task, but avoiding these common mistakes can make it much easier to reach your full potential on test day!